What were some of the most difficult parts of “attending” a roundup? First was planning the trip timing-wise. You think, I’ll just pick a date off the roundup schedule and make reservations. Hmmm, not so much. Everything about it is a last minute affair, full of very fast planning and coordinating because nothing about a roundup schedule is in stone. Once you travel close to the roundup area, every single day means something new to the schedule, or something dropped from the schedule. What was planned the afternoon before gets changed constantly and you learn quickly to just roll with whatever happens. Even then, it’s sometimes hours to the roundup site each day. As far as actually being at the roundup, it was mostly the frustration of being an observer with what seemed to be capricious viewing rights, which from my perspective, seemed to depend mostly on the contractor. I saw things that made very little sense, even from a liability standpoint. If small children are allowed very close to the trap site and the holding pens, and I did see them, there are some pretty big explanations due to established, reasonable and responsible observers. Several conversations I had with the contractor brought out their displeasure at photos that WHE publishes and I replied that limiting access gives no opportunity to get better photos to share with the public. If we can’t view things any better, we certainly can’t share them. (Note by WHE: Access issues are a subject that we are actively engaged in. 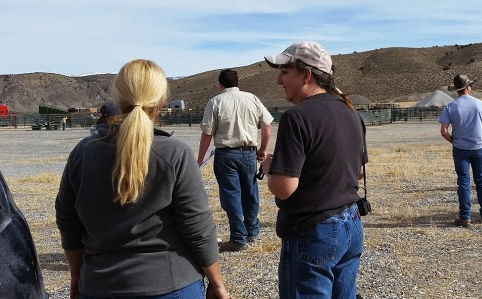 WHE has spent over 4 years in federal court addressing these issues and are currently actively engaged with the State office in NV to address the multiple issues one-by-one to gain the objective of clearly assessing each wild horse or burro captured. At Fish Creek things became rather tense between the contractor and WHE. It was not the first time this has happened, but as Fish Creek is currently under legal scrutiny we are dealing with issues through appropriate channels). Of all the things you witnessed is there one that stands out in your mind? The most difficult moment was actually very touching. It’s still etched in my brain. It was at the (Fish Creek) holding pens when, instead of being returned to the range as planned, all the horses that were supposed to be released back to the range, were instead being sent to short-term holding. All the mares were loaded onto semis and as those trucks started to move away, there was stomping, snorting and whinnying and then, suddenly, there was only silence. I looked back over at the stud pens. Every stallion had turned to face those disappearing trucks. And then, almost as one, their heads bowed down and they did not move. It was very quiet for nearly five more minutes. I can only imagine what their hearts felt. What were a few things that surprised you? There wasn’t much about the wild horses that surprised me at all. They, and the things they did, made sense to me. People, on the other hand, are always the biggest wild cards. First, I was surprised – and honestly, relieved – by the openness and responsiveness by most of the BLM staff. I did see and feel a distinct difference at the two roundups I attended, which I attributed more to management style. My concerns about those differences were addressed and responded to, I felt, in a positive way. Any questions I had were always answered openly and concerns were very quickly addressed. I had very positive interactions with most of the BLM employees, even when my questions or concerns were somewhat confrontational, and we were very involved with them on a number of levels. As a example, early one morning we noticed an injured animal in obvious distress on our drive to the trap site. We stopped and requested immediate assistance. A significant effort was required by a number of people, who halted operations immediately and drove back a number of miles to address the injured animal. I was greatly relieved that there was no hesitation of any kind to the request. The biggest surprise to me over the entire trip was actually immature, irresponsible moves made by several groups of professed wild horse lovers. 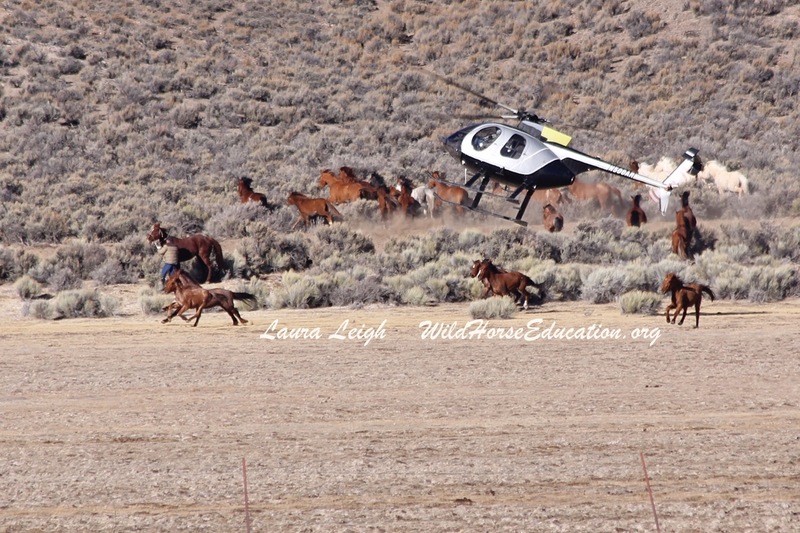 Several ugly groups banded together attempting to bring a bad name to true wild horse advocates. They steal photos and documents. They use sneaky names and try to pretend they actually did the work of real horse advocates. They stamp red ink all over photos and outdated documents and conveniently forget to produce the whole story. They take credit for things they did not do. They claim judges said things the rulings never stated. If you see this happening, please do your own research, not theirs. If you see activity that looks and sounds like high school games (or stalker-type activity), and they talk more about certain other people or groups than about wild horses, make up your own mind. It weeds them out pretty quickly. Would you attend another one, and why? Yes, without question. 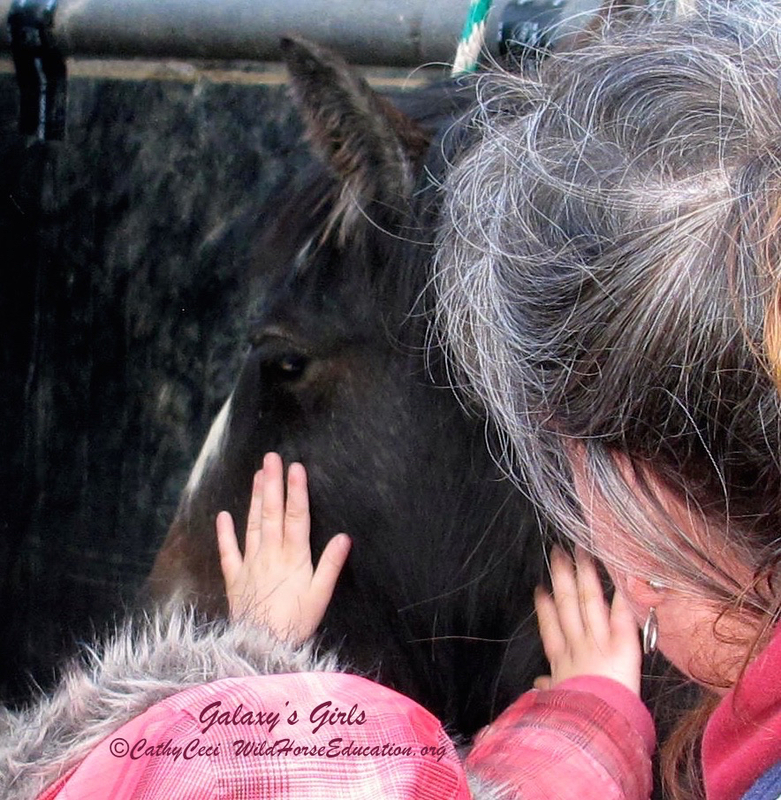 No matter how hard it is to see and do some things, we have to be willing to be open-minded witnesses, to hold others to fair and humane treatment of our wild horses and burros. We have to be willing to step outside our comfort zone, to talk to others we may not agree with. We have to establish a legitimate and expected place at the table to speak on behalf of our wild horses and to be able to find long-term, legal solutions that will actually work. We also have to continue to work to find solutions for the nearly 50,000 that are held in BLM holding – that they find some kind of real HOME, not just ‘holding’ – that they find real protections from abuse and slaughter. We also need to bring education, attention and real solutions for the thousands of wild horses and burros off of federal lands that have no protections at all. Americans overwhelmingly believe that ALL wild horses and burros – no matter where they are – have a right to live, not in horrific feedlot situations or minimized to tiny unwanted corners of the world, but running as free and wild as naturally possible with their family bands. We need to be their voice at the table to achieve that for future generations to be able to share. At Wild Horse Education (WHE) there is a long track record toward gaining the credibility to sit at that table, and I am proud to be part of that effort. What ARE the advantages of attending with someone experienced? I was very lucky to attend with Laura Leigh (WHE President), it was more than invaluable. It was like standing next to a wild horse encyclopedia with a camera sticking out of her head. She’s ahead of everything: what to look for, where to look, why it happened, what to expect, the legalities, the loopholes, the politics and the who’s who. Having a correct answer is much better than having a wrong answer. 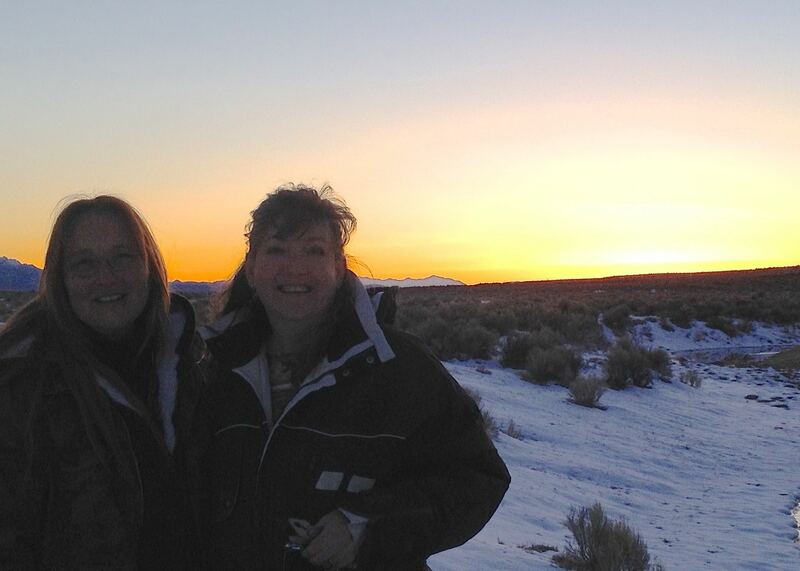 We were lucky to have some great BLM staff with us. I did see a few of the BLM crew who were not equipped to answer some fairly basic questions and used ‘BLM speak’ right out of the manual – fairly useless when the exact opposite of what the manual says is happening in front of you. Having someone willing to find out answers is not the same as having the answers right there at your side. It was also really nice to learn from others who we met up with, whether it was about halogeton and creosote bush and who eats what on the range, water tables and rights, mining and ranching, even Curly horse genetics. Learning more about the issues wild horses face in every county is something we all need to do. None of us live in a bubble and we all need to know at least a little bit about each other to start working together. Many of the people we met already knew Laura. The vast majority of the people we met respected her and spoke about the range and policy openly. If people had an issue with a stand she took I watched as she engaged, sometimes difficult conversations, and elevated those relationships into something more productive. In the month I spent on the range with her I have learned more than I could through any other experience. Did the youngsters seem stressed, being recently separated from their families? 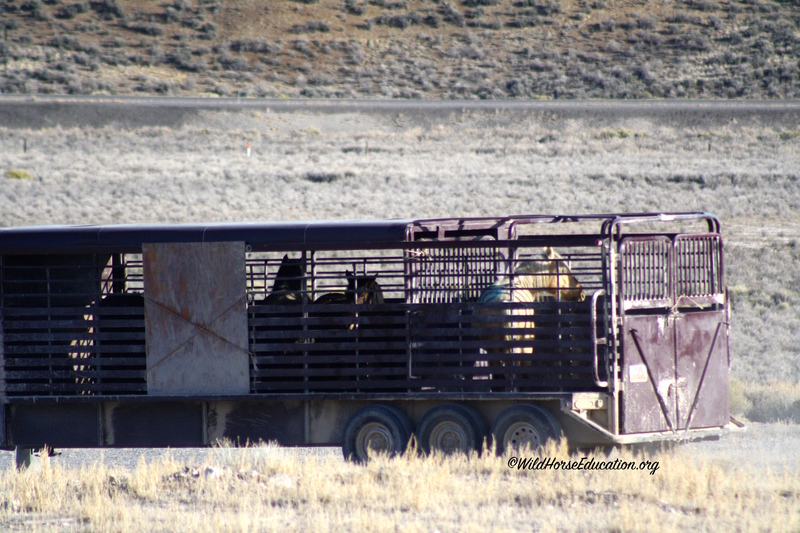 We actually followed the trailer from the holding pens into the adoption corrals and unloaded them with the wranglers. While obviously wild, the foals were cautious and a little jumpy but were definitely not crazed and fearful. They were curious and wanted to check things out so we left them quietly with food and water to settle in. Several were being hand fed by the next morning. I have to say that with every single move I saw and was a part of, they were handled as gently, carefully, and as safely as possible. Each day saw softening and, as they were treated calmly by people and given space and time to adjust and think things out, by adoption day, they haltered and were loaded into adopter’s trailers amazingly smoothly. The stories back from adopters as they got them home were great to hear. Do you think that these events are worth the time and effort? No question, especially seeing kids of all ages getting involved. These are life-changing moments that happen at adoption events. You can see it in the eyes. You can feel it. There are kids that come every day, making a connection with what they hope will be their new best friend. 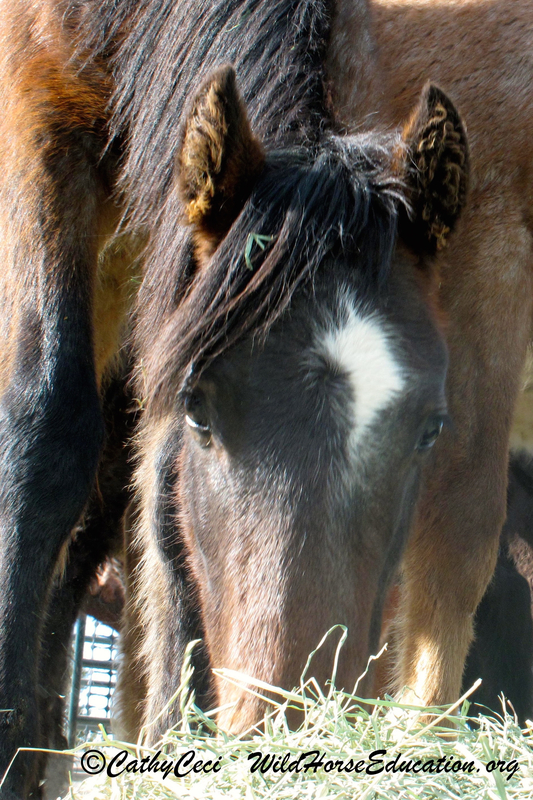 The parents are putting their kids on a different life path when they adopt these foals. It’s the beginning of a lifelong partnership for them all. It was unfortunate that because of the chaotic end of the operation caused by the actions the ranchers and county took the turnout for the event was smaller than expected. Many people thought the event was cancelled or did not want to drive their family into what might be a hostile environment. Was it difficult to have travelled so far and having the release put on hold? Yes, I think what every wild horse advocate or nature lover of any kind wants most is that release back to the wild and the most difficult thing to do was to leave without seeing that. If I’d gotten a call at the airport, I would’ve turned right around and gone right back to wait it out. I really do believe that this particular plan is strong and solid and it’s in the right place at the right time. It’s about bringing a much-needed balance back to the environment and isn’t just about wild horses. “Sarge,” beloved stallion of Fish Creek now held hostage. WHE will be monitoring our ranges and addressing issues as we face a fourth year of drought. Tensions are likely to increase this year and we will keep our readers posted.